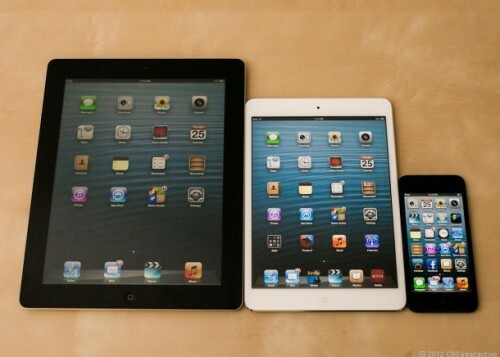 Besides the iPad mini, Apple is launching another new iPad on Friday -- the 4th Generation iPad. The embargo has been lifted on those reviews as well, though they contain no real surprises. The 4th Generation iPad came out only seven months after the 3rd Generation model. The latest iPad adds several tweaks and improvements to secure its position at the top of the tablet heap. It's better all around, but third-gen owners need not apply. The other interesting effect the new iPad has on Apple's product line is that it increases the gap between the iPad 2 and the "new iPad". Apple has chosen to keep the iPad 2 at the $399 starting price point and simply retired the 3rd Generation model, replacing it with the new one. That $100 difference between the two models now represent a larger feature gap than before. Lovely. My "new iPad" lasted all of 7 months. Is that the shortest product life cycle ever for an Apple product? The reviews are in: the 4th gen iPad does in fact have a lighting connector. The "iPad 3" also known as the "iPad 2 w/Retina display"
Got my iPad 3 in April and see no compelling reason to get the 4. Will wait another cycle or 2 as long as this one works for me. You shouldn't feel compelled at all to upgrade. I am glad you aren't. THe iPad3 is a great piece of hardware and there is no reason to move from it to the new iPad refresh. Same here. It runs iOS6 fine and I'm not one of these people. ... it's not a sweet deal for all of us iPad 3 owners who are having this sh** rubbed in our face!